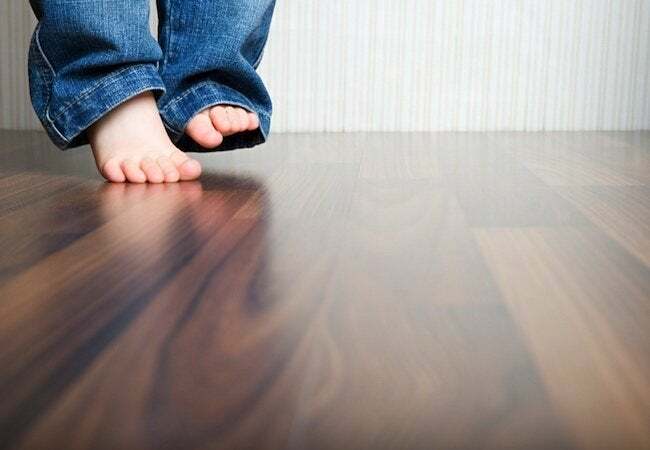 Experts agree that for comfort in winter, no other technology comes close to matching the performance of radiant floor heating. But is it the right choice for your home? Like so many other questions in building and home improvement, the answer depends. Learn the pros and cons, and decide for yourself. It’s no surprise if home heating doesn’t rank high on your list of priorities right now, but let’s face it: If you were uncomfortable at home last winter, you are going to be uncomfortable again in only a matter of months—that is, unless you make a change. Particularly if it’s been years since you last surveyed your options, you might be surprised by how much the landscape has changed. No, a 100% perfect climate control system hasn’t been invented yet, but many of the most exciting options today excel where forced air fell short. The leading heating technology of the past several decades, forced air isn’t without virtues, but on the whole accounts for the perception that home heating must be hit-and-miss in performance yet consistently expensive. By contrast, innovative options like radiant heating prove that homeowners can now enjoy total comfort at a lower cost. Radiant heat isn’t new. In one form or another, it’s been around since before the days of the Roman Empire, but it wasn’t until relatively recently that it became a viable option for average homeowners. Today, many would argue that it outperforms its peers, delivering a qualitatively home heating experience than forced air ever did. Not only does it operate silently to create even, all-encompassing, “everywhere” warmth, but it does so at least 25% more efficiently than conventional HVAC. That said, radiant heat may not be the perfect climate control solution for every homeowner, in every situation. Much depends on the precise nature of the project you are planning. Keep reading now for details on the biggest considerations that come into play. Homeowners are eschewing traditional forced air in favor of radiant heat, largely because there’s simply no question as to which provides a higher level of comfort. Installed beneath the floor, radiant heat panels deliver warmth across virtually every square inch of the home. That way, no matter where you travel in the home, you always get the temperature you want. With forced air, it’s a different story. Designed to operate in a stop-and-start pattern, conventional HVAC dumps hot air into the home, then stops. Minutes later, once the temperature has dipped below a threshold point, the system snaps on again, and the cycle repeats. The result? Dramatic, uncomfortable temperature swings, only enhanced by the fact that hot air quickly rises to the ceiling after arriving. Radiant heat, meanwhile, concentrates comfort not above your head, but at floor level where you actually feel it. Heating and cooling components are often integral to the basic infrastructure of the home in which they are installed. That being the case, most do not lend themselves painlessly to retrofit applications. With forced air, ducts are the foremost impediment to installation. With radiant, the complicating factor is that panels must be set beneath the floor. If you love the flooring in your home and had no intention of removing it, even if only temporarily, then the installation requirements of a radiant system may give you pause (though a wall or ceiling installation may be a good alternative). But of course there are plenty of occasions when homeowners enjoy a blank slate. Custom home building may present the out-and-out ideal opportunity to install radiant heat, but you can also capitalize on the technology during a renovation. In fact, manufacturers like Warmboard offer ultra-thin radiant panels specially designed to fit seamlessly into existing homes. Walk into any home heated by forced air, and the system soon announces itself to you, one way or another. The first thing you notice might be the unsightly metal grille of an air vent, or it might be the sound of conditioned air roaring through the ductwork. There’s also the issue of dust. Though intended to channel warm air through your home, ductwork also often ends up collecting and distributing dust and other impurities. Over the years, having become so accustomed to forced air, many homeowners may assume that home heating has to be ugly, noisy, and dusty, but it doesn’t. With panels slotted out of view beneath the floor, hydronic radiant systems are invisible, and in the absence of blowers and rushing air, they operate not quietly, but silently. Plus, for allergy sufferers and others concerned about indoor air quality, radiant heat can be like a breath of fresh air, as the ductless system does nothing to diminish indoor air quality. To supply the water that lends heat to a radiant system, you need a boiler. If you’d need to buy a new boiler, that would add to the final project cost. But of course, in any HVAC system, there are upfront costs and operating costs, and the latter are perhaps the more important. Radiant keeps running costs low, because thanks to its duct-free design, it’s not susceptible to the air leaks and energy loss that compromises forced air. That’s the main reason why radiant has been found to operate at least 25% more efficiently. To save an extra 10 to 20 percent each month, opt for a radiant system with highly conductive panels. Why? The more conductive the panel, the less hard the boiler needs to work. 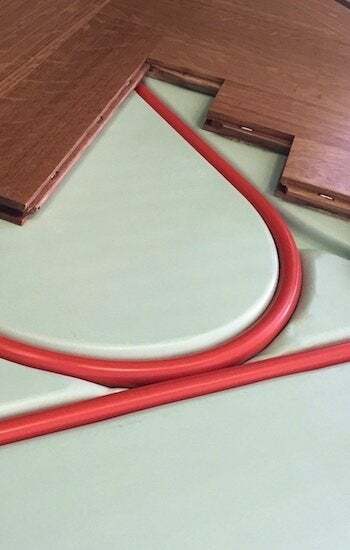 By way of example, Warmboard panels transfer heat so effectively that they can keep the home comfortable using water boiler-fired to a temperature 30 degrees cooler than that required by other, broadly similar systems. From one month to the next, year after year, incremental savings can really add up. Already widely popular in Europe and Asia, radiant heating has been steadily gaining traction in the United States over the past several years, as homeowners discover its unique and compelling advantages. Able to operate at a whisper-quiet decibel level even while promoting indoor air quality, the “out of sight, out of mind” technology ultimately delivers on a deceptively simple promise: It enables you to enjoy greatly enhanced comfort during the winter months, and often for less per month. Indeed, for the increasing numbers of homeowners who are foregoing traditional HVAC in favor of radiant, the obvious pros of the latter far outweigh any potential cons.